Boozenews Editor: Hmmm, is this the sound of nostalgia or do people just think that cork stoppers represent higher quality? 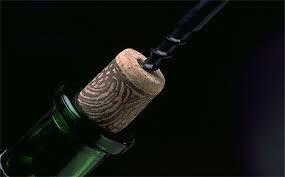 In any case, it may seem counterintuitive, but wine screw caps put forest in jeopardy. Premium domestic wineries are increasing their use of cork closures, with brands using cork showing higher annual sales growth over those using alternative closures, according to a survey released today by the Cork Quality Counsel (CQC) based on data from A.C. Nielsen. The survey found that of the 100 top selling wine brands, the number of brands using cork closures rose by 7.5 percent to 72 brands during the past five months. During the same period, those same brands sealed with cork closures posted an average annual sales increase of 10.2 percent, compared to annual growth of 3.7 percent for alternative closure types, according to the survey.